It’s been just over two years since Gizmodo wondered publicly why McDonald’s didn’t serve breakfast all day. And that was already years after hungry citizens everywhere wondered why they could eat Egg McMuffins for dinner. Now, McDonald’s has heard our call: All day breakfast will be available across America on October 6. So why didn’t McDonald’s do this years ago? Well, pushing breakfast items past the traditional 10:30am cutoff requires a bit of kitchen shuffling, and there’s invariably some risk involved in asking staff to prepare more types of food at the same time. It’s now a risk that McDonald’s franchise owners are willing to take since they’ve agreed to rollout the new all day breakfast at over 14,300 restaurants in the United States. Because the consumer is always right. Operators also needed new toasters, because existing units can only be adjusted to warm either hamburger buns or muffins, which toast at different temperatures. Now, most restaurants are being outfitted with two toasters connected together that can toast both buns and muffins at the same time. 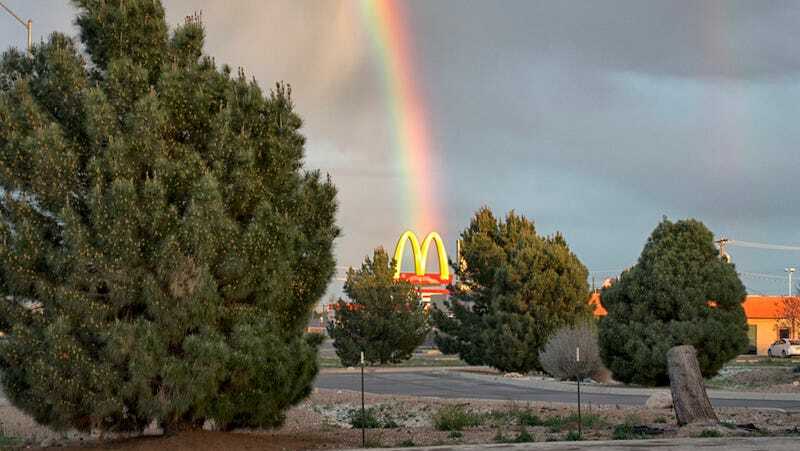 Altogether, the investment can range from $500 to $5,000 per restaurant, depending on what equipment franchisees already have, a McDonald’s spokeswoman said. Many franchisees have already installed the new equipment. The radical but welcome change in operations comes as McDonald’s is trying to restore its relevance in a world that starving for anything but fast food. The Big Mac slingers have been dealing with declining sales for years, and despite efforts to wow us with fancy touchscreen technology and cursing Happy Meal toys, McDonald’s has continued to suffer. So it started testing all-day breakfast at select locations earlier this year, and now the chain is giving customers what they want. And you believe you’ll be able to eat a McGriddle for dinner in a little over a month? !